West Chester offers the best of all worlds for artists and art lovers alike: beautiful countryside and deep history to inspire and soothe, access to big cities, and the finest culture to energize and enrich. But this community’s thriving arts scene is an entity unto itself. From backlit landscapes that reflect the rolling Brandywine Valley to industrial cityscapes that bustle with excitement, our local artists are capturing what it is to be from West Chester in their own unique ways. Art transcends what’s local here, too. We also have artists who are expressing inner secrets, capturing the essence of man’s best friend, sharing the stories of refugees in Eritrea, and bringing us to Italy through gelato. In this feature story learn about the creatives of West Chester and find out how you can engage and be inspired! Co-owner of Tailor Made Media, Chris Cotter has been a producer/director in the multimedia industry for more than 20 years. Chris’s experiences traveling the world have been a catalyst in working in film and telling stories through the lens of a camera. He has worked and traveled throughout the United States, Central America, Africa, Europe, and South America. “Through filmmaking, our company decided to try to help people who we felt were ignored. That was the inspiration to create our film, Refugee: The Eritrean Exodus. The success of the film and its impression on viewers is why we created the subdivision, Tailor Made Films.” Chris believes films are the perfect way to share stories that bridge cultures and facilitate discussion and change. “Filmmakers have the opportunity to create something that conveys messages, provokes thought, and invokes feeling,” he says. Chris is also a renowned music teacher who runs TribeSound Records, where he produces music for many Philadelphia artists, including his own band WaveRadio. Featuring Tailor Made Films, a part of Tailor Made Media. A significant portion of Tailor Made Media’s profits help to fund the company’s philanthropic film projects focused on important environmental and human rights issues. Atwater Designs Owner Sarah Bourne Rafferty creates botanical prints using the cyanotype process. Sarah is driven and inspired by the natural world. “Walking in the woods and even through my backyard garden is the starting point of my creative process,” she says. Her prints of feathers, leaves, and flowers reflect this love. The cyanotype process is the oldest photographic process. Sarah mixes a light-sensitive chemical solution, which she then paints onto paper. Once dry, she exposes it to the sun with a plant or natural object touching the paper which is called a photogram. Each cyanotype is a unique record of nature including the light and the wind of a particular day. The poetry of the moment is marked on the page, never to be duplicated again in exactly the same way. Sarah gives a portion of her proceeds to land and water conservation in southeastern Pennsylvania. Follow along on her creative journey via Instagram: @atwaterdesigns. Custom pet portraits are painter LouLou Clayton’s specialty. Her portraits capture the innocence and emotion of each animal’s essence. “For each portrait I make, I am challenged to capture the personality, charisma, and likeness of that pet,” she says. LouLou paints her portraits from photographs that can be emailed or even texted to her; in fact, everything she does can be accomplished remotely. Thus, her art hangs in homes and galleries across the United States, Canada, and the United Kingdom. LouLou’s portraits are created with acrylics on canvas. She is inspired by the gratitude she receives from her clients, who cherish the portraits she creates as gifts and memorials. In the unique medium of encaustic, Jeff Schaller paints by creating textural art pieces which incorporate representational form with the printed word. In essence, the visual and written symbols merge to create a unique aesthetic language that is both provocative and whimsical. His multiple-image pieces, with familiar elements ranging from polka dots to popular culture icons and labels, evoke emotions and memories in the viewer. The combination of images tells a story and provokes a personal exchange between the art and the audience. Jeff’s graphic design background, love of color, and what he deems a “neurotic personality that likes to place random images and thoughts next to each other,” all inform his art. “Add a splash of reckless abandon because life is short and should be enjoyed,” he says. Co-owner of Gemelli Gelato, Vincenzo Tettamanti is an artist whose medium is simply delicious. He works in artisan gelato and Italian desserts, after all. All of the work and preparation that goes into making his true artisanal gelato draws on his background as not only a creative chef, but also a food scientist. are a delicate structure of the gelato using a balancing act of science and creativity to achieve a smooth, creamy product. Kristin has performed and directed in productions on Broadway and Off Broadway. After years in New York working with the likes of Stanley Tucci, Nicole Kidman, Paul Rudd, Justin Bartha, Tony Shalhoub, and Anthony LaPaglia, a lightbulb went off. “What if I brought that level of theater home to West Chester?” she asked herself. Kristin founded The Resident Theatre Company (RTC) in 2015 to do just that. In 2017, they produced their first season of main stage shows, featuring actors and designers from New York and Philly at the top of their craft. The season earned RTC two Best of the Mainline awards, a Barrymore Recommendation for every show, and a front page feature in the Philadelphia Inquirer Sunday Arts Section. Plus, more than 10,000 people bought tickets to see RTC shows. The images in Erica Brown’s paintings vacillate between pure abstraction and industry. Her main medium is encaustic, which is one of the oldest (and more dangerous) forms of painting—a process of painting with pigmented beeswax. She builds up many layers of paint, then uses tools to carve through them to expose what is underneath. She fuses each layer with a blow torch. The results are richer, deeper colors and textures. At Tyler School of Art in Philadelphia, Erica had to teach herself encaustic off of school premises because of the fumes released when the wax is heated—and the blow torch, of course. It was in this process where Erica found her voice. You will often see industrial images such as train lines, trestle bridges, and abandoned factories in her work. She’s photographed these scenes her entire life, finding herself drawn to the industrial landscape. Teresa paints large-scale cityscapes on top of newspaper-covered canvas. Her work captures the chatter of the urban environment, transporting viewers through everyday places to new and unexpected realizations. Teresa paints what we see every day. She usually chooses to pluck her paintings from what is right in front of her face, drawing on memories of scenes from her childhood. Teresa grew up in the blue collar city of Rochester, NY. Custom jewelry is an artform all its own. Ivan and Lisa Kaplan have been enhancing this meticulous process to ensure each piece at Kaplans Fine Jewelry is crafted to perfection. Both Lisa and Ivan are focused on making each piece of jewelry striking and memorable. The crafting of each design is intentional and always has the customer’s needs in mind. Diane Dailey Allsman paints to feel free. Her deeply emotional, stream-of-consciousness art is a way for her to express her own secrets and emotions as she lives with depression. Diane challenges viewers to not only look, but also to see—to feel their own emotions and secrets reflected back to them through her bold brush strokes. Opened in 1975, the Visual Expansion Gallery by Mary Manning and Elizabeth Taylor has been consistent in providing the community with beautiful, handcrafted custom framing and a space to experience gorgeous, local artwork. Visual Expansion Gallery showcases local and regional artwork and helps customers identify frames that truly make any work of art shine. The team at Visual Expansion Gallery is thankful to be part of Chester County, where so many individuals are encouraged to cultivate creativity. The gallery features a variety of artists specializing in watercolor, oil & acrylic, etching, and much more. As a note to these and other artists, Mary and Elizabeth shared some insight. Even after 18 years of making art professionally, Rhoda Kahler continues to thrive on innovation. As a sculptor and artist, she cites Gaudi and Isaiah Zagar as big influences on her craft and aesthetic. Whether in sculpture or in tile art, Rhoda creates a variety of vibrant colors and unique, meticulous patterns. Rhoda’s husband Mike has also started to pursue his own creative passion— metalwork. Together, Mike and Rhoda are building a sculpture garden and will be exhibiting together for the first time at the Art Trust in January 2019. Holly Layman is a three dimensional mixed media sculpture artist whose art represents a world uninterrupted by technology. She often uses antique and found objects to express her message. Holly is creating bigger, more elaborate sculptures with each collection that embody the experiences of her community. “My hope is for my body of work to represent a view where all is right with the world,” she says. Holly’s work is exclusively shown at Artistic Eyewear, her husband Robert’s boutique that brings art and fashion into their selection of frames. Local people and places inspire the realistic oil paintings created by Heather Davis. She is well established as a landscape painter with a signature use of brilliant color to produce a backlit effect. Her new solo exhibition “Admiration of Souls”, opening November 8 at the Allinson Gallery at CCAA, will display new landscape works and debut a host of large situational portraits featuring inspirational personalities of the Brandywine Valley. The show’s title speaks not only to Heather’s admiration for local art giants, but also for the landscapes and iconic structures created by the inhabitants of this region long ago. Heather owned and operated her own building firm long before turning to painting full-time. Josh, Ian, Melissa, and Meg. Behind Fig magazine, there is a small but mighty team of creatives—designers, writers, photographers, marketers, and community builders—bringing West Chester to life with digital, social, and print communication. Each page in the printed arts section (as well as the rest of the magazine) started as a mere concept and was executed with an eye for detail through photography, creative direction, storytelling, and design. 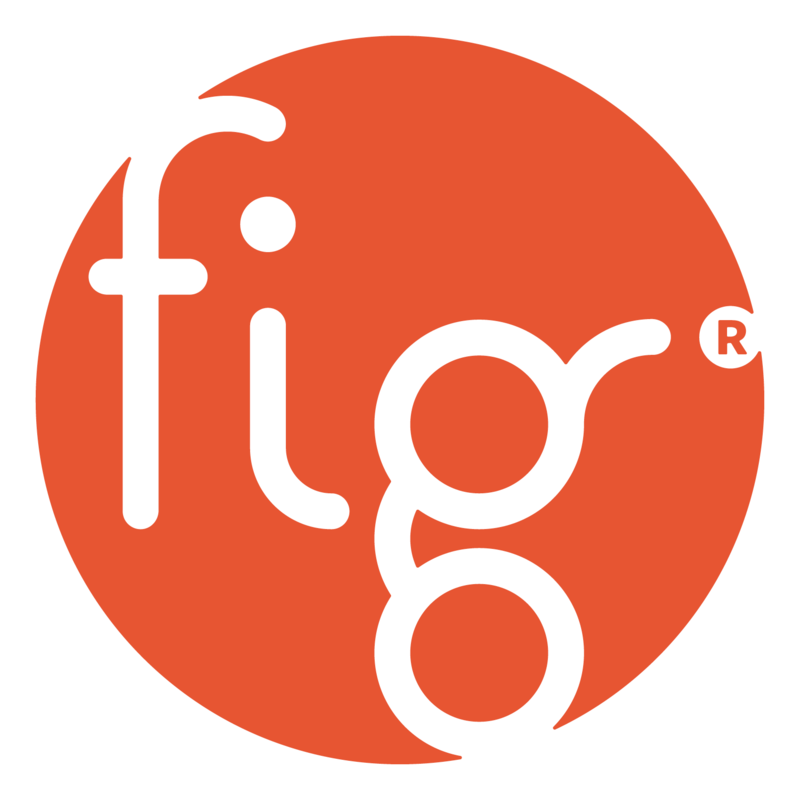 At the heart of Fig Industries is a passion for great design, a spirit for relationship building, and an abundance of creativity.